For those who don't want to settle for an ordinary end table, the Circulos End Table is ideal. 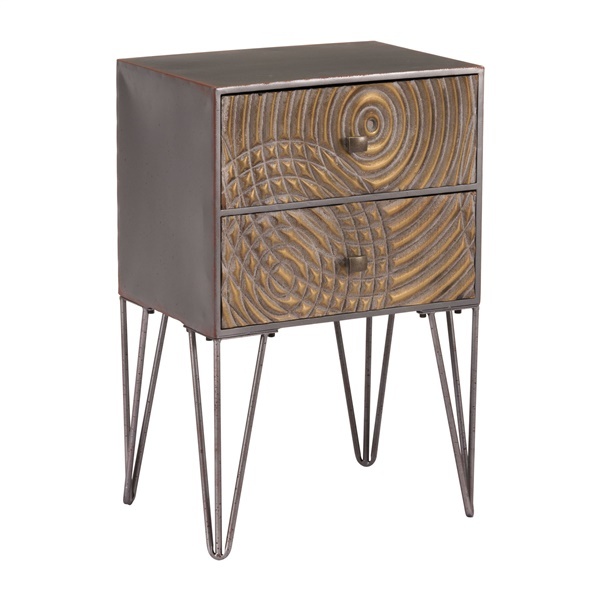 This end table features two spacious drawers with a circular pattern on the drawer fronts that will garner your attention time and time again. Plus, the end table fits perfectly next to a bed or in a casual living room, and its retro-modern design will complement any living space's d�cor. Choose an end table that blends expert construction with unmatched style � the Circulos End Table.